Cargo ships and government vessels (including icebreakers) make up the bulk of the traffic, but the percentage of pleasure craft is growing rapidly. A new study on shipping in Canada’s Arctic has found that traffic in the region almost tripled between 1990-2015. The researchers found that the annual distance traveled by all vessels grew from about 350,000 kilometers to more than 900,000 kilometers with the majority of growth occurring over the past decade. “It is pleasure craft that concern me the most. Harsh and unpredictable weather can always be a risk – and this combined with variable ice conditions can pose serious safety and navigation risks along the Northwest Passage,” explains Jackie Dawson, lead author of the study, associate professor at the University of Ottawa and Canada Research Chair in Environment, Society and Policy. “The Northeast Passage is more viable in the short-term future. The ice is less dynamic and more predictable, there are more infrastructure and services, and the commercial opportunities (for some) make much more sense. Insurance also plays a major role,” explains Dawson. The study represents the first spatial and temporal effort to paint a comprehensive look at how traffic along the route has changed since 1990. For this purpose the scientists looked at overall activity, vessel types, the spatial distribution — i.e. where ships travel in the Arctic — and their proximity to local communities. In total the study distinguishes between ten different types of vessels, including cargo vessels, government ships, container ships, tankers and passenger ships. The researchers had to overcome data scarcity and used a combination of Automatic Identification System data, available since 2010, and daily ship location reports from the Canadian Coast Guard archive. The study looked at the northern deep-water route of the NWP through the Parry Channel and the M’Clure Strait, the southern shallow-water route to the south of Victoria Island as well as the Arctic Bridge route connecting Europe to the Port of Churchill, Manitoba in the Hudson Bay. In addition to an overall growth in traffic, the researchers were able to conclude that some types of vessels have experienced more growth than others. In 1990 general cargo ships accounted for 28 percent of traffic, followed by government vessels and icebreakers (25 percent), bulk carriers (20 percent), and tanker ships (14 percent). Fishing and pleasure craft represented just 5 percent and 1 percent, respectively. By 2015 the share of fishing vessels and pleasure craft had increased to 15 percent and 8 percent of total vessel traffic. 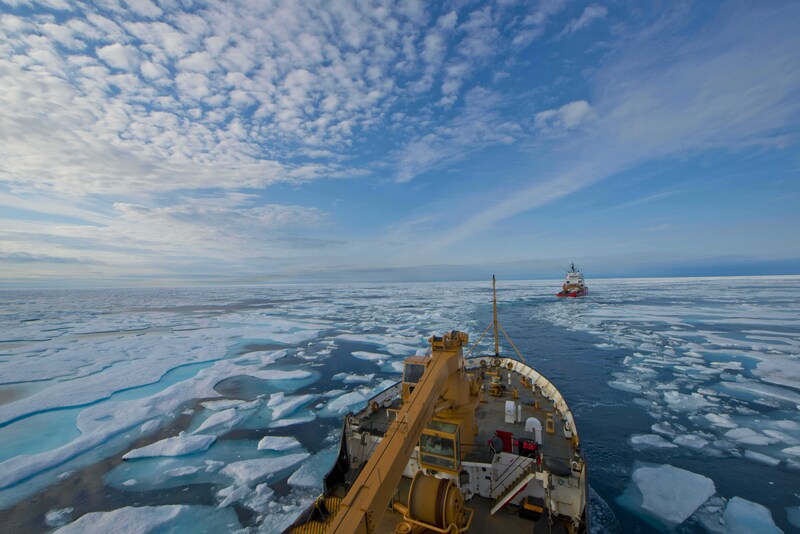 In contrast to the NSR where rapid growth in shipping traffic precedes the establishing of robust rules — last year nearly 100 vessels along the NSR violated the rules of navigation — the lingering ice along the NWP and fewer commercial drivers enable Canada to put into place strong protections for the environment, sailors and communities along the route before large-scale commercial activity. “Canada currently is being afforded the time to ensure robust and cooperative protection measures and management strategies for dealing with increased maritime activity in the NWP and region in general,” concludes Dawson.